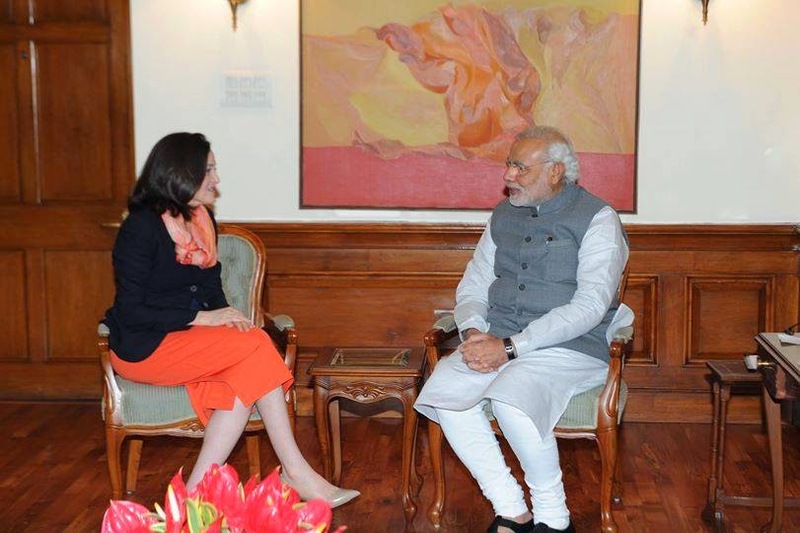 Facebook Chief Operating Officer Sheryl Sandberg met Indian Prime minister Narendra Modi during her visit to India. Its known that Narendra Modi is the 2nd highest followed politician on facebook with almost 18 million fans. He is 4th highest followed person on twitter as well with over 5 million followers. Narendra modi used Social media as his weapon during his loksabha election campaign to reach out to the youth, which pretty much contributed to his 300+ victory. 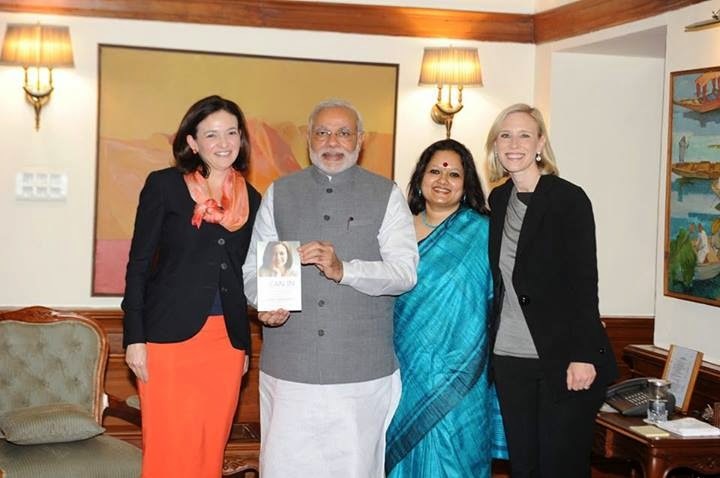 Soon after the meet, both Narendra Modi and Sheryl sandberg posted the photos on their facebook accounts respectively. "It was a privilege for me and my Facebook colleagues Marne Levine and Ankhi Das to meet with Prime Minister Narendra Modi today. The opportunity to be in India this past week has been special for me after beginning my career here on the World Bank’s India Health team 22 years ago. Meeting Prime Minister Modi gave me the opportunity to express my personal appreciation to him for making the education of girls and women a priority as equal opportunity is essential for strengthening all economies and creating a just world. Exciting for our all-female delegation to #leanin with Prime Minister Modi. We were glad to be able to congratulate him on his election, and on his unprecedented use of Facebook to connect with voters. He told us how he believes that direct communication with people all over the world is critical to effective governance and he plans to continue using Facebook and other social media to communicate with the people of India and the world. Digital diplomacy can change our national and international dialogues and that is why he plans to champion the free and open internet on the world stage. India is important to the global economy, as well as to Facebook, and we look forward to working together on internet.org to bring the next billion people online. Access = opportunity – creating more economic, social and political opportunities for the people of India. It was an honor to have this exchange and we look forward to ongoing collaboration".